We have are nearly at the end of the school holidays for the Victorian kids and in the middle for the NSW. We have a fantastic weekend of sunshine coming up and the crowds will no doubt flock to the mountains and make the most of the fantastic mid July conditions. Enjoy while it lasts as next week will be a totally different scenario with snow on the way. Monday should see the clouds start to move in and we could see some light snow showers at times, nothing to get too excited about. Early Tuesday should see the winds start to pick up and clouds will increase during the day in the Victorian resorts with snow starting to fall in the afternoon. 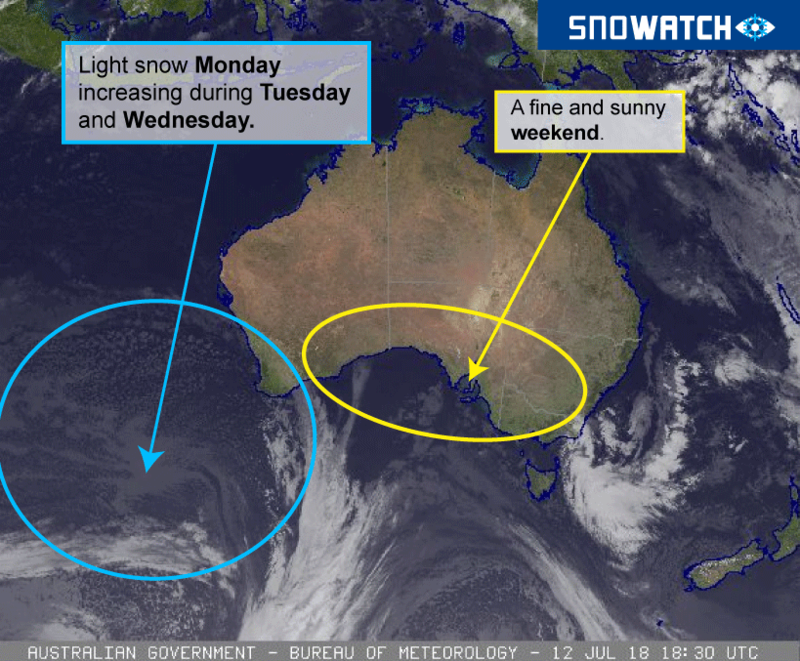 Snowfalls are then likely to increase into the night and then extend into the NSW resorts with blizzard conditions overnight and carrying into Wednesday as the snow level drops a little with snowfalls extending throughout the mountains. Wind chill will be well into the double figure negatives about the peaks so if you are on the hills then make sure you dress appropriately. To the parents of kids racing in interschools competitions that have to stand around and wait for races it’s a good idea to add an extra layer underneath for yourselves and the kids. After a sunny weekend things take a turn next week. Snow showers should continue on and off across Thursday and Friday before clearing. The resorts look like being left with around 20-35cm with the Falls Creek and Hotham likely to do best. 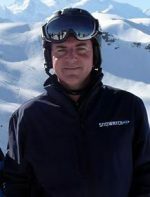 To those on the slopes have a great week, take care, keep warm and always ski/board with a partner as visibility will be low. Chains will more than likely be needed around the Victorian resorts late on Tuesday and then throughout the mountains in NSW and VIC on Wednesday morning. Throw a tarp and some old gloves in with the chains so you stay dry and your fingers don’t freeze. 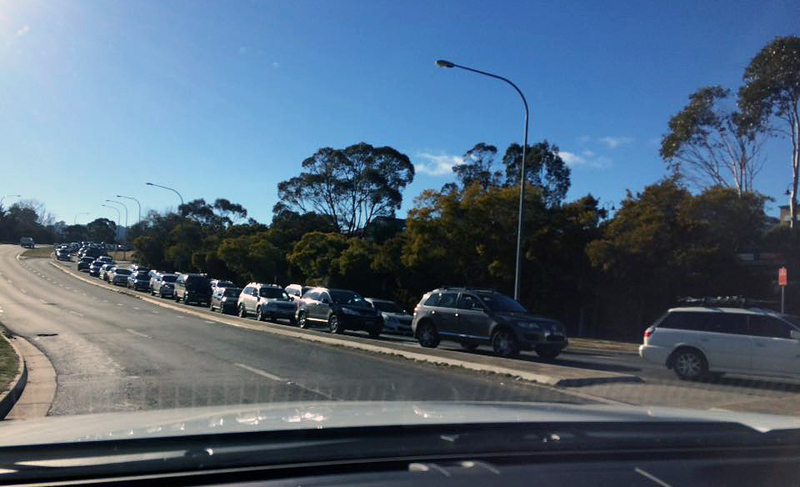 With fine weekends forecasts there will be the usual traffic bottlenecks like this one at Jindabyne. Of course the great news is that the snow will eventually clear later in the week and we should be in for another cracker of a weekend with blue skies forecast. Crowds will be up again next weekend making the most of the fresh snow.